Rainbow Bubble Gum brings out the kid in all of us. 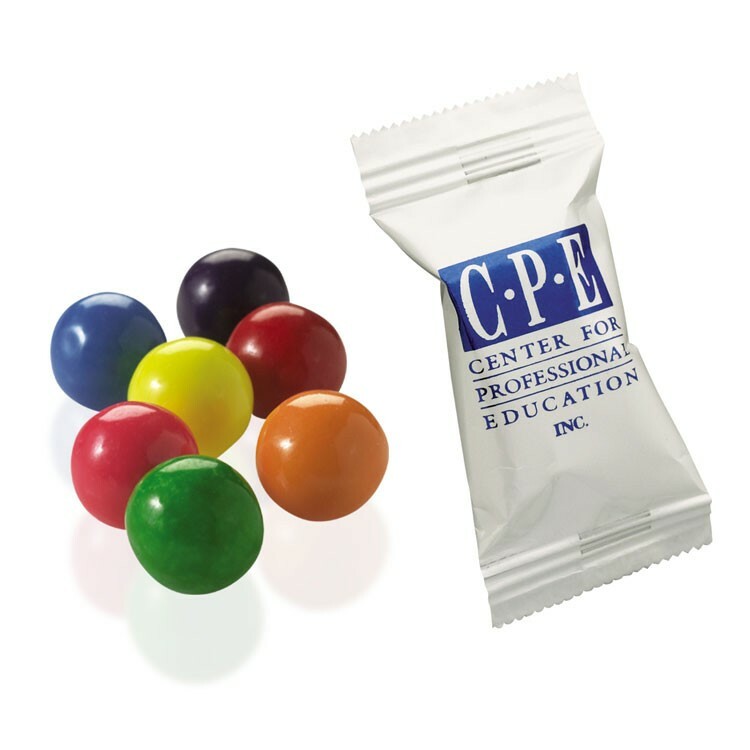 Our Price Includes: a one-color imprint on a white wrapper. Multiple imprint colors available up to 4 spot colors. (Minimum 10 cases). Case count 1,000. Must order in quantities of 1000. Imprint Area: 1-9 cases 1 1/4" x 3/4" / 10 + cases Front 1 1/4" x 3/4", Back 1 1/4" x 5/16"